If you are an active internet user, there is a good chance that you have always heard of YouTube or even use it regularly. Despite the popularity of YouTube, there are many individuals who are actually unsure as to what it is. If you are one of those individuals, it is advised that you start figuring it out. Otherwise, you could be missing out on one of the best online experiences, ever. YouTube is what is known as an online video website. Video websites are websites that allow internet users to make, upload, and share their videos with other internet users. Many of the videos found on YouTube are homemade videos, made by everyday individuals. The videos are streamed, which allows for the quick loading and playing of them. Perhaps, what is best about YouTube is that it is a free service. There are a fairly large number of online video sites; all of these sites operate in different ways. When speaking of usage, there are a many online sites that charge you to become a member and others that charge you to watch certain videos. According to their website, YouTube is completely free. You can not only watch videos made by others, but you can make your own and have access to a number of different YouTube features, without having to pay a thing. 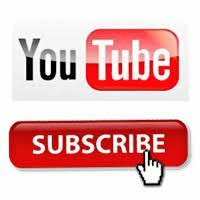 If you are interested in just seeing what YouTube has to offer, you can easily do so by visiting their online website. That website can be found by visiting www.youtube.com. Once at YouTube’s main webpage, you can automatically begin searching for videos to watch. To watch videos, you do not necessarily have to register with the site, but it is advised. By registering with YouTube, you should be able to save your favorite videos, rate them, leave comments, and much more. Also, once you register, you should be able to make your own videos and upload them to the site. When it comes to finding videos to watch on YouTube, you will find that it is not difficult at all. With a simple keyword search, you should be provided with videos matching the keywords that you searched with. In addition to performing a standard search, you should also be able to browse through the videos that are hosted on the site. You can browse through videos by highest rankings, most comments, most views, and most linked. All of these videos are ones that have, most likely, generated the most internet buzz. While YouTube is a great place to watch all different kinds of videos, it is important to keep one thing in mind. YouTube is used by a large number of internet users. In fact, it can easily be considered the most popular online video website. This means that different individuals with different views and beliefs will be posting homemade videos. YouTube does regulate the videos that are hosted on their site, but it is possible that you may take offense to the videos that you see. Although it is difficult to determine what a video’s content will be by the video title, you are advised to avoid videos with titles may that cause you some concern. Remember, if you are interested in seeing what the buzz is all about, you are encouraged to go visit www.youtube.com. With a wide variety of different videos available and the ability to make your own, you are sure to find something that will make your visit worth while.